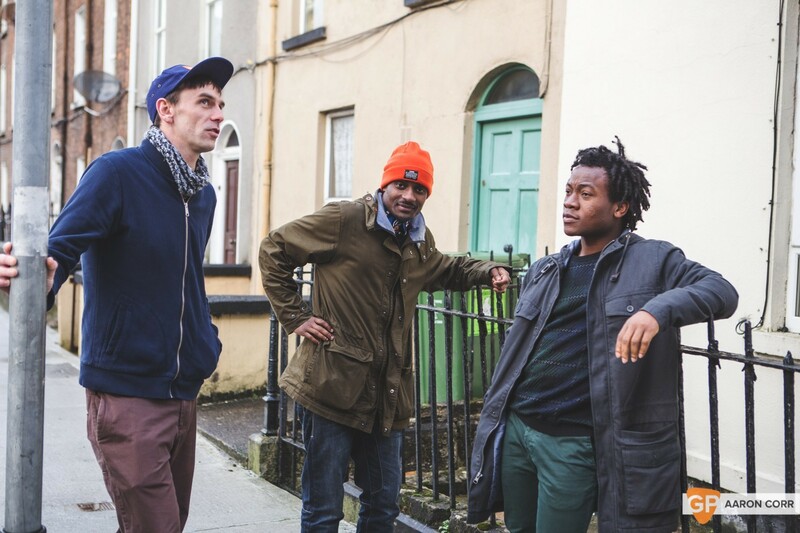 It takes about thirty seconds of Heathrow, the latest, highly-addictive single released by Rusangano Family back in November, to realise it is going to be another high-water mark for an Irish hip-hop band. Somewhat prophetic in nature, it describes (in visceral detail) a refugee’s arrival in Heathrow airport and the dehumanising effect this process has on him. The band wrote the song back in March, before the full extent of the current refugee crisis had started to hit the headlines with harrowing stories of bodies washing up on golden Greek beaches. You’d almost think we had written this song because of what happened this summer but we wrote it way before”, adds MuRli. “We grew up around people who were refugees and they had really compelling stories. They leave their families and give up everything they love and move to a new place but without the freedom to truly exist in that society”. It’s as authentic a slice of social commentary, hip-hop or otherwise, as you’re ever likely to hear from this island. However, the hip-hop label is one that the band have attempted to distance themselves from. It’s too restrictive, for one thing. 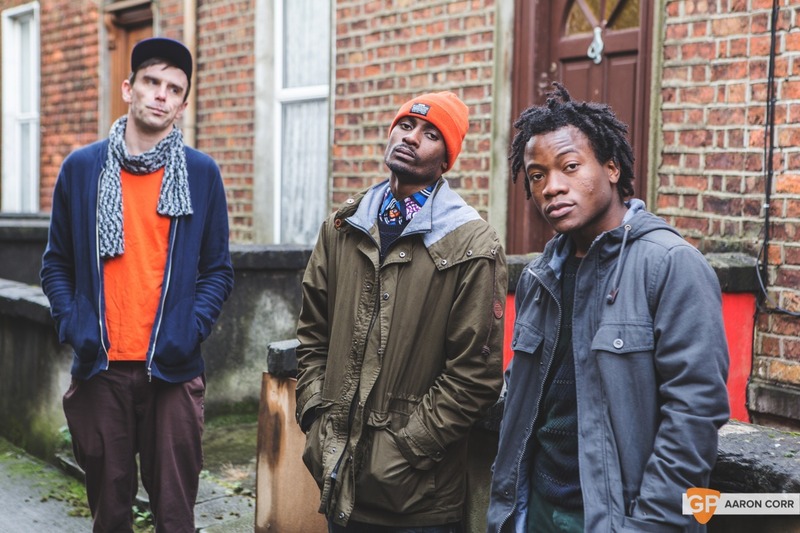 Rusangano Family describe their music as “bass-led”, although we put it to them they might struggle to find a section by that name in Tower Records or HMV. “We talk about this quite a lot” explains MuRli. “Hip-hop is the genre, but we consider what we do to be soul music, because it really comes for your heart and your soul. But there’s a lot of variety in hip-hop”. Rusangano Family are hip-hop in the same way that Kendrick Lamar is hip-hop: the classification in that bracket does them a disservice. Another feature which sets them apart is the conspicuous absence from the rhymes of God Knows and MuRli of the kind of bravado and self-aggrandising that became so common place. “Growing up in Limerick it would be so dishonest to come out and do that. As a teenager there was a tendency to copy what you saw on TV, imagining the things that you have”, recalls MuRli. “I’d agree with that”, adds God Knows, “but, like, one of my favourite lyricists is Pusha T and he talks about that lifestyle, but it’s a persona because then he’s just in his house drinking tea. We grew up in Limerick surrounded by everyday people and these are the people we represent”. So they don’t have grandstanding alter egos, but what about the live shows – the kind of energy that these guys exude, leaping off the stage, legs and arms flailing and burying themselves in every lyric and beat – surely there must be an element of slipping into a persona? “The energy comes naturally as soon as the music drops but there is a certain level of consciousness where you’re like, ‘I’m going to do this, I’m going there to entertain people’. Sometimes you go on stage and there’s only five people in the crowd - where does the energy come from then? It has to come from within. But it’s not rehearsed”. Formerly known as God Knows + mynameisjohn, the band have relabelled themselves for strategic reasons. “We would like to still be individuals who come together”, explains God Knows, “like the Wu [Tang Clan]. They’re a strong unit but you still know who RZA is, who Method Man is, who Raekwon is”. Of course, the name Rusangano Family has connotations beyond labelling – it symbolises the familial togetherness of the group, which is apt for a group of guys who are so involved in local community. The addition of MC MuRli – who anyone that has witnessed the live shows will remember as the hyper-energetic hype-man – as a permanent member of the group also hastened this change. “We just thought, yo everything that we do is so organic and has such an element of togetherness and an element of family, why don’t we just call ourselves Rusangano Family” (the word “Rusangano” means togetherness). ‘Let The Dead Bury the Dead’ is the title of the hotly-anticipated forthcoming album from the trio which is due to drop later this month. Taking its title from a quote attributed to Jesus in the Bible, Rusangano Family take a more holistic interpretation, looking at it in terms of not dwelling on the past but concentrating on the possibilities of the future. They are happy for everyone to have their own interpretation. “It’s a time when there’s so much madness happening that we do have to mourn and grieve, but also move on to brighter, better things”. 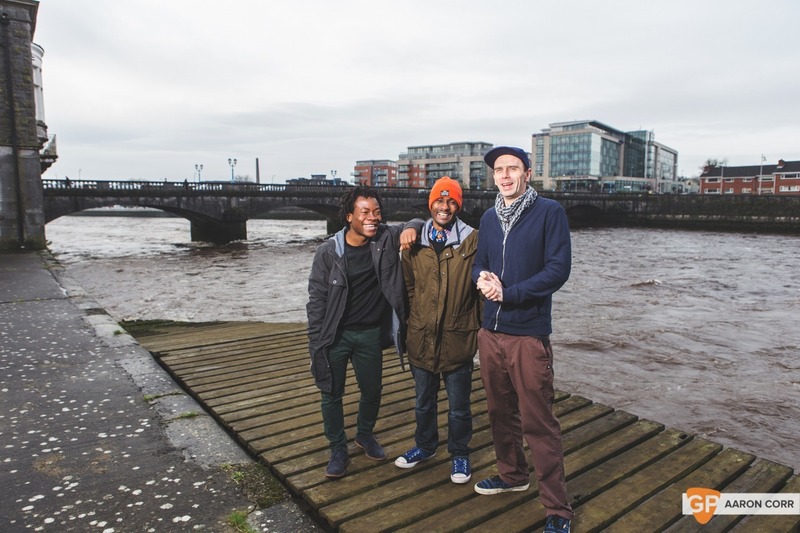 By their own busy standards 2016 is already looking particularly busy for Rusangano Family. For starters there’s Eurosonic in two weeks and SXSW following shortly after. They couldn’t be more relevant than they are now. “The music that we all enjoy the most is music that’s honest and it’s an honest depiction of who we are and where we are and I would like to think that this year is the year that we take our community beyond Limerick and Clare”. This is fairly modest coming from these guys as their community clearly extends well beyond the southwest of Ireland at this stage. The world stage beckons.